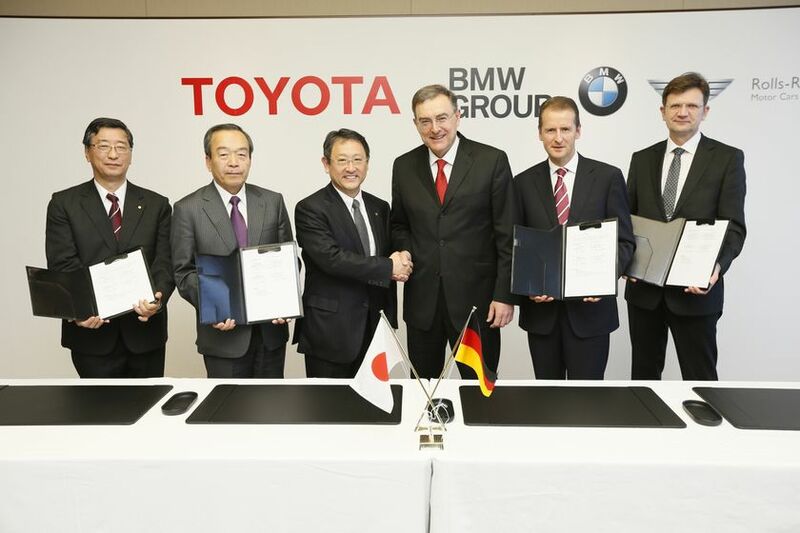 January 24, 2013 - BMW Group and Toyota Motor Corporation (TMC) are pursuing their successful strategic long-term cooperation in the field of sustainable mobility today by signing binding agreements aimed at long-term collaboration between the two companies for the joint development of a fuel cell system, joint development of architecture and components for a sports vehicle, and joint research and development of lightweight technologies. These agreements follow a memorandum of understanding signed in June 2012. Furthermore, BMW Group and TMC also today signed a binding agreement to commence collaborative research on lithium-air batteries, a post-lithium-battery solution. This agreement marks the second phase of collaborative research into next-generation lithium-ion battery cells that commenced in March 2012. The companies are to collaborate in jointly assessing hydrogen infrastructure development and in creating codes and standards necessary for the popularization of fuel cell vehicles. The companies agreed to set-up a feasibility study to define a joint platform concept for a mid-size sports vehicle that is to be completed by the end of 2013. The two companies aim to combine each other’s technology and knowledge at a high level to maximize customer satisfaction. Both companies are to share the vision to further collaborate in the field of sports vehicle development. 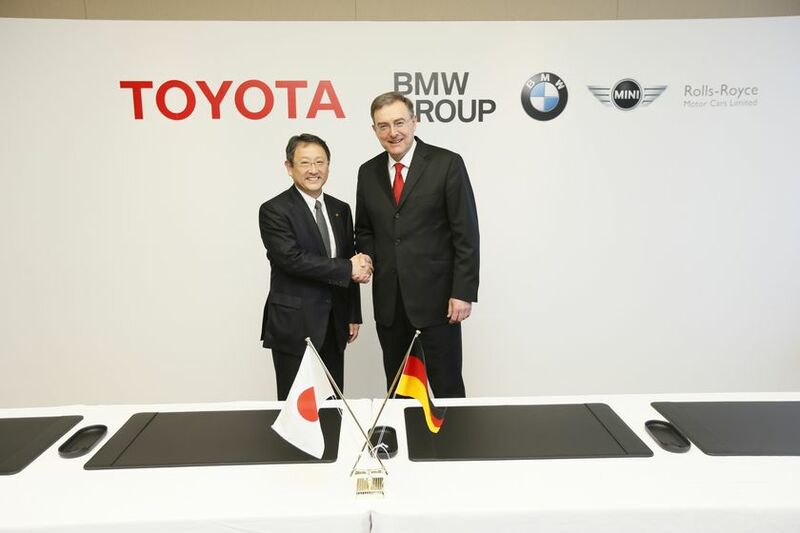 The companies are to jointly develop lightweight technologies for vehicle bodies using cutting-edge materials such as reinforced composites, with an eye to utilize these technologies in cooperation on the development of a jointly developed sports-vehicle platform as well as other BMW and TMC vehicles. The companies are to begin joint research with a goal to develop a lithium-air battery with energy density greatly exceeding that of current lithium-ion batteries. 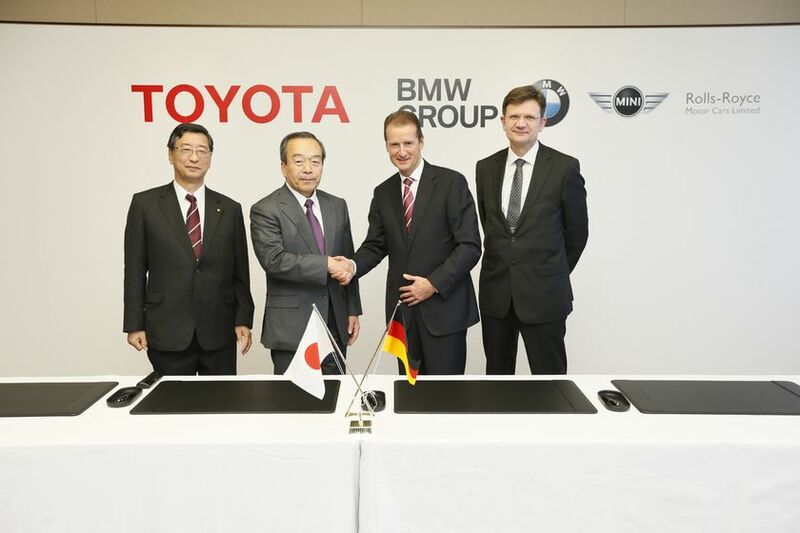 BMW Group and TMC first agreed to form a medium-to-long-term collaborative relationship for developing next-generation environment-friendly vehicles and technologies in December 2011, at which time the two companies also signed a contract under which BMW Group is to supply highly efficient diesel engines to Toyota Motor Europe. BMW Group and TMC―as long-term strategic partners―have since continued their joint efforts to realize sustainable mobility for the future.